Looking for a way to beat the heat with the kiddos? Why not go on a shopping trip? (Husbands take a deep breath this is going to be a deal-finding trip!) Those who know me know that I am a deal seeker. If something isn&apos;t at least marked down 40%, chances are I won&apos;t buy it. So when the Kids Go Round resale superstore opened its doors in Hendricks County down the road from me in Plainfield, Indiana, you can imagine my glee! Now I know many of you moms are wondering what makes this store blog worthy with several resale shops around the Indianapolis area. Well, you&apos;ll just have to trust me that this is one you don&apos;t want to miss! 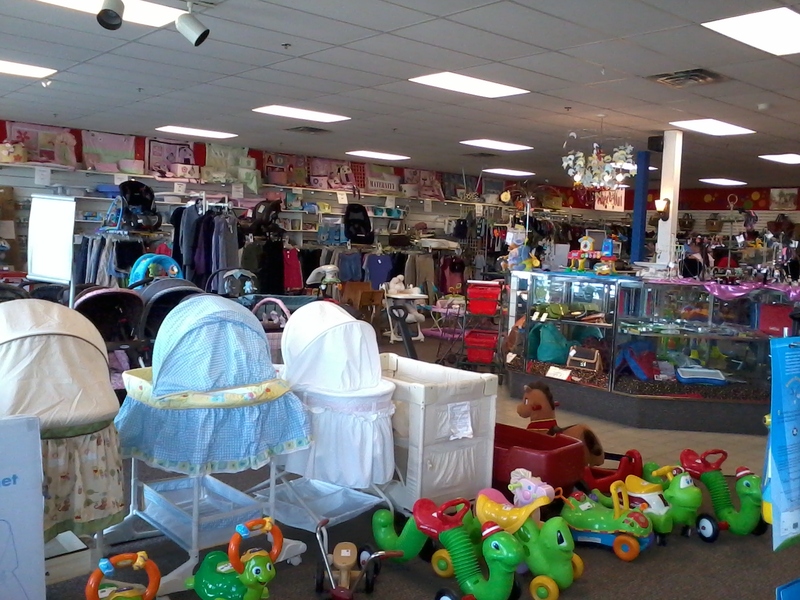 Located right off U.S. 40 in Plainfield, this shop is a must visit Hendricks County destination for any parent of young kids or grandparent in need of some top quality merchandise at great prices! Upon entering the store my daughter&apos;s eyes lit up... I&apos;m pretty sure she thought I had taken her to a room of toys and clothes all for her! She kept pointing at all the fun things she wanted. Girl has a love of shoes! 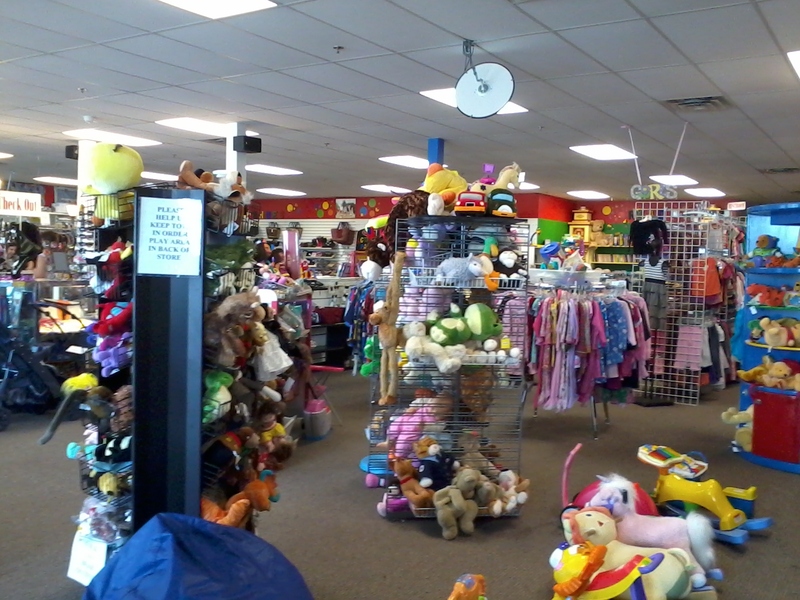 Not only does this location have a wide variety of clothes, games, toys and child-care items it has a fun decor for the kids to enjoy. It feels like a playhouse of sorts. In fact, the owner&apos;s husband built a small playhouse in the back of the store where kids can play while mom shops. As me and my tot made our way through the store I couldn&apos;t help but notice all the items that looked brand new (or actually still had tags) all for the fraction of the price. I was looking for fall clothing items of which they had a nice assortment, but they truly have a bit of everything. When I was pregnant, I even bought many of my maternity clothes here. What sells me on the Kids Go Round and why I&apos;m giving you the insider scoop is that the stuff is always in great condition. Often at retail shops, you have to dig and dig to find items that are of high quality, but not here! The owners of Kids Go Round have done a fantastic job of securing great merchandise at great prices for their customers. After checking out, I calculated at least a 75 percent savings had the items been brand new! 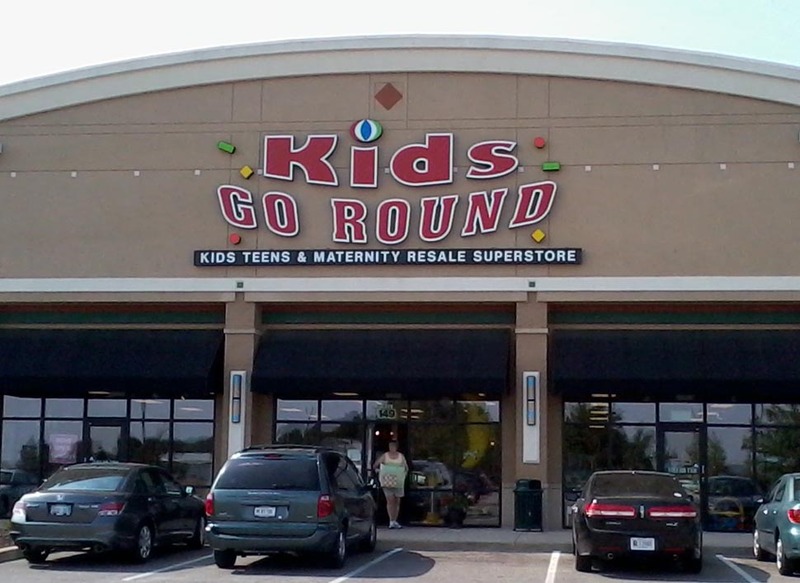 Kids Go Round also buys maternity clothes and used kids items. Check out their website for more information on this program. Trust me, I&apos;ve done a garage sale or two and this sounds like the way to go to me! So remember ladies use the heat and the savings for your shopping excuse, and I&apos;ll bet you&apos;ll find your very own super deals! Be sure and leave me a comment with your thoughts and the deals you found if you visit! Happy Savings!